Most people who enjoy taking photographs derive pleasure from simply showing them to friends and family with no thought of editing them, other than maybe their size on the screen. 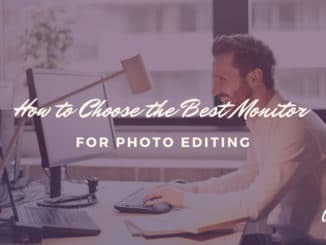 However, what if you want, or need, the ability to make professional looking edits and adjustments to your images either for pleasure or if photography is used as part of your business? One solution is to use a handheld tablet device to edit them, but the question is which one? In this review, we are going to asses 5 of the best tablets for photo editing and advise which one we recommend. The Huion H610PRO is a compact and lightweight drawing tablet and pen, which has multiple drawing and photo editing functions and is compatible with most graphics software, allowing you to enhance all your photographs and images. The fact that this tablet comes with a stylus pen and the drawing function indicates that it’s very much designed towards those who enjoy digital drawing and graphics. For those who do, features like 8192 pressure sensitivity, shortcut buttons and being able to set the tablet for right- or left-handed use will appeal. When it comes to photo editing, one of the primary concerns would be whether the tablet has compatibility with all the main photo editing software. Rest easy because it does. In fact, there is a comprehensive list of them including Adobe Photoshop, which is probably the most used photo editing program in use today. As you are editing your images with the tablet, you will enjoy a working area on the display of 10 inches by 6.25 inches, giving you good-sized space in which to create. Thankfully the size of the screen does not mean that your tablet is going to weigh you down. In fact, it comes at a lightweight 1.4 lbs., so you will hardly notice it in your bag or carry case. To make work easier, there are 16 function keys which enables commonly used features plus you can customize eight other keys for those which you need most often. 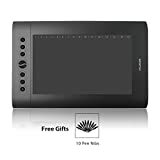 This is a light and impressive looking tablet which combines the best features of digital pen drawing and photo editing to create a graphics tool that anyone who works with images will enjoy using. Support Major Drawing Programs in Windows 7/8/10 and Mac OS 10.11 including Corel Painter, CorelDraw, Adobe Photoshop, Adobe Illustrator, Adobe Fireworks, Macromedia Flash, ComicStudio, SAI, Infinite Stratos, 3D MAX, Autodesk MAYA, Pixologic ZBrushand, sketchbook and so on. 10 x 6.25 Inches Big Active Area provide enough drawing space to show your inspirations freely. 1 Year Warranty. Extra Gifts: 10 pen nibs and 1 drawing glove. The Turcom TS-6610 is a drawing tablet which offers all the drawing and photo editing functions you need to enhance, edit or combine your images to make them look professional and appealing. Plus, it will do it all for a fraction of the price that many similar products will cost you. If you like products that on the outside look basic and uncluttered, but in fact offer a multitude of functions and enhancements, then the Turcom TS-6610 will greatly appeal to you. Its outer area is a simple black casing with the screen in the middle and even with the eight function buttons on the left you’d be forgiven for thinking this was nothing more than a sleek looking photo viewer. How wrong you would be! 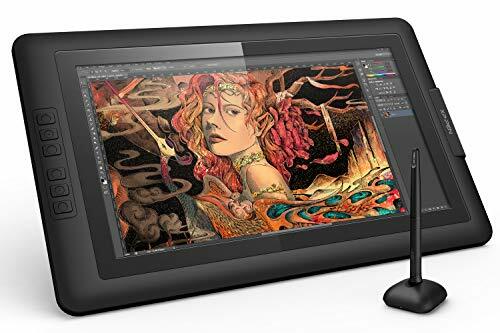 This device can be used in conjunction with all the main software including Photoshop, Corel Painter, and Comic Studio, so the levels to which you can create hand-drawn illustrations, edit photographs to a professional standard or even combine both to produce stunning images, is limited only by your imagination. Setting up the tablet can be done to suit how you prefer to work as there are 16 keys along the top of the screen and a further eight down the side which you can pre-set to the functions you choose. Making it easy to use is a theme of this tablet as it can be set up to suit both left and right-handed people, plus the size of the screen at 10 x 6.25 inches gives a nice sized working area. We must also mention how light it is to carry with a weight of just over 2 lbs. 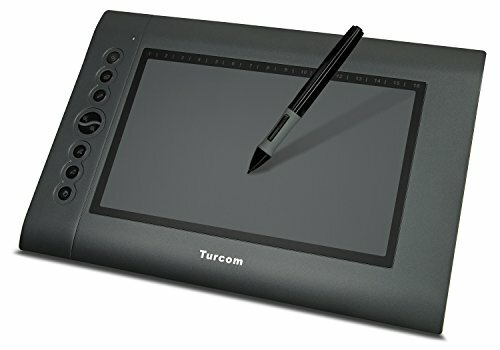 Finally, we must comment on the price of the Turcom TS-6610; it is one of the lowest for a drawing/photo editing tablet currently available. If you are new to photo editing tablets and don’t want to risk making the wrong choice, or if you simply like getting the best deal possible, then this is certainly one product you should consider. The pen is pressure sensitive. 2,048 levels of pressure lets you create precise variations in line width and opacity or unique brush effects in your favorite creative software. Comes with wireless digital pen and pen holder. The pen uses 1 AAA battery. Large Active Are of 10 inches by 6.25 inches provides you a sensitive platform to show your talent and creativity. Resolution: 4000 Lines Per Inch (LPI), Report Rate Speed (RPS): 220. Compatible with Windows and Mac, Macbook Pro computers. Windows 7/Windows 8/Windows 8.1/Windows 10/ Mac OS 10.8.0/10.10.0 or higher. Amazon Prime eligible. Buy with confidence. We provide around the clock customer support. One of the most critical elements to consider when considering any tablet which you are going to use for photo editing is the screen resolution. With the Chuwi HiBook Pro, you have such a high screen resolution that it will make photo editing a real pixel fest. While you may primarily be looking for a tablet that allows you to edit photos, it is also essential to consider its specifications as a tablet because these will impact on how easy and how well it will function when you are using imaging and photo editing software. This Chuwi HiBook has high specifications with 4GB RAM, a 1.44 GHz quad-core 64-bit processor and 64 GB main drive, so everything is in place to make photo editing a pleasure. You can also expand the memory, so even if you end up with a lot more images and bigger files sizes than you first thought, there’s still the means to store them. Still looking at its graphics capabilities, it also has an Intel high-definition graphics processor which enhances the clarity of any graphics, photos, and videos you are editing for best results. 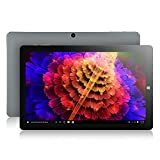 As the tablet runs on a Windows platform, it is compatible with all the major photo editing and graphics software that you could use on a PC, plus it is also android enabled, so any imaging or photo apps form the Google store can be used too. On a practical level, the Chuwi tablet weighs only 2.2 lbs., so there will be no problem carrying it with you, and it also has all the latest connectivity such as Micro HDMI and Micro USB sockets. There is a keyboard dock which gives you an option to connect it to a full-size keyboard. Better still go wireless and connect wirelessly to a Bluetooth keyboard. The highlight of this tablet must be its incredibly sharp and clear screen. It has 2560 x 1600 resolution on a 10.1-inch screen which virtually eliminates any visible pixelation. This makes any photos you are editing sharper, clearer, and more detailed so that your edits are exceptional. Please don’t let the short name of this tablet fool you into thinking it has very little to offer in terms of photo editing and graphics functions. On the contrary, the XP-Pen Artist 15.6 has plenty of great features, a high-spec display and is compatible with all your favorite platforms and graphics software. Let’s start with those first because a concern which is often raised about tablets like this is whether it can be used with a specific operating platform. The obvious ones are Windows and Mac OS, and, in both cases, it is compatible. In terms of graphics and editing software, then you are literally spoiled for choice as you can use all the major ones such as Illustrator, Photoshop, Painter, Clip Studio and even Gimp plus, there are many others in case none of these are what you plan to use. Now that we have taken care of operating systems let’s look at some of the more practical matters you will want to consider. First is the weight which in the case of the XP-Pen artist is 3.2 lbs., which is more than some tablets we have looked at but is still light enough to make it extremely portable. It also comes with a good array of attachments and extras such as an HDMI to Mac adapter cable, replacement nibs for the drawing pen, a pen stand and there’s even a cleaning cloth for the screen. It can also be switched between right and left-hand use. Talking of the screen, this is one of the biggest appeals of this tablet especially when it comes to editing photos. The tablet’s graphics driver allows it to have a high-resolution 4K screen with all the sharp images which that generates. It also has a 178° degree of visual angle, making it easier to see whichever way you are looking at it, exceptional contrast, and vivid colors which will all enable you to edit your photos to a professional standard. When it comes looking at graphics tablets, no set of reviews would be complete without a look at what Wacom has to offer. Their Intuos Draw tablet is one of the world’s best sellers in this niche, but can it live up to its reputation? Let’s find out. 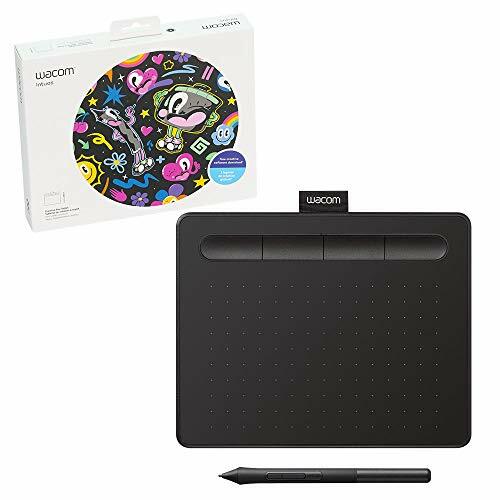 The first thing that will strike you when you first take your Wacom Intuos Draw tablet out of its packaging is how simple it appears. Whereas some tablets have over 20 buttons appearing on all sides of the screen, this has only 4; two on the top right corner and two on the top left corner. We mustn’t assume that because it has such a simple layout that it lacks functionality because we would be wrong. The four buttons we mention are programmable to act as shortcuts to your favorite functions. So, if you cut and paste a lot, you can set them up for this to save yourself time. This tablet is compatible with Windows and iOS platforms therefore whether you have a PC or a Mac, you can use this tablet. Connecting to your computer can be via a USB cable, which is supplied, or wirelessly via Bluetooth. Regarding software, it comes pre-loaded with Art Rage Lite, which allows you to hand draw on the tablet interface. This means you can customize, personalize and let your imagination go wild when drawing graphics and using them to create stunning images by combining them with your photos. The creative possibilities this tablet gives you are endless when you consider all the possible ways in which you can make your photos totally unique. Art projects, greetings cards, events invitations, advertising, business presentations are but a few of the many applications for which this tablet could be utilized to make photos come to life and be eye-catching. This is not the only element which is eye-catching as there are two more. The first is how thin the tablet is, at just 0.4 inches, meaning it can be slipped into most bags or sleeves. The second is its low price, as this one of the most cost-effective solutions to photo editing we have seen. 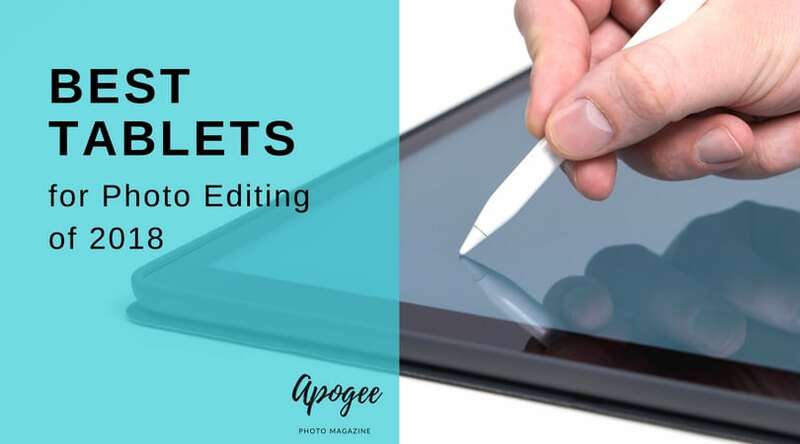 We have looked at 5 of the best tablets for photo editing, and each one had merits we had to consider in terms of choosing our top choice. In the end, we choose one which we felt offered both the most comprehensive array of photo editing features and overall performance, so our best tablet for photo editing is the XP-Pen Artist 15.6. Apart from its compatibility with both iOS and Windows, it also works with all the major graphics and photo editing software. This is important as everyone has their own favorite graphics tool, so being able to use the one you prefer is a big plus. It also has one of the best screens we have seen for this sort of product including 4K resolution and 178° degree of vision so that as you are editing your photos, the image you see is clear, sharp and vivid which enables better results. Although the XP-Pen Artist 15.6 is our choice of tablet for photo editing, each of these tablets have their own strengths and a different one might work best for your needs. Let us know what you look for in a tablet for photo editing in the comments below!